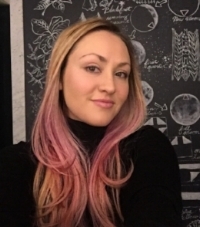 Cynthia Lloyd is an Art Director and UX Strategist in Los Angeles, CA. She specializes in persuasive design and copy, and has worked in the development and advertising worlds for about 5 years. This will be her first time volunteering at the IAC.